I remember the weekend of my ordination in March 2011. My best friend from seminary and I were in Florida for the ceremony, and we decided to head to a local dance club close to the hotel. I love to dance. In my mid twenties, I used to go dancing every single weekend – and at this particular establishment. By the time I was called into ministry and definitely before I was 30, I had tired of frequenting dance clubs. Maybe once or twice a year I would still like to slip into a dance club or other music venture and dance away. But now, I was becoming a Reverend, someone holy. Should I be at a club dancing? Should I have a drink with my closest friends? What will people think when I get up to sing Madonna’s “Like a Prayer” during karaoke? When I date – what will it be like to tell my date that I’m an ordained pastor? Who will I be now that I’m the Reverend Michelle Torigian? In the process in accepting a sense of call, I believe there is a part of us that changes, but the core of who we are remains the same. My goal was to discern which parts of myself were core to who I was. And that included living as healthy and honestly as possible. Since becoming a pastor, I’ve been able to speak and write frankly about my challenges with endometriosis and anxiety – – not to mention being single. Through this level of transparency, I’m living a life that will hopefully give others encouragement as they live in the shadow-filled days of their lives. I thank my dear clergy friends for their support in encouraging me to be my truest self. The Internet, Facebook, blogs, Twitter – they are not monoliths of anonymous power. They are potential bridges of hope, healing, and hospitality. There’s a Woman in the Pulpit encompasses this spirit of clergy community in RevGalBlogPals and explores the themes on which female clergy… sometimes all clergy… focus our attention. It’s a vocation like no other, and being able to share our deepest thoughts publicly will hopefully help other clergy from feeling alone. Being that we are female clergy, there tend to be fewer of us, and many of us are still trying to understand our own identities as women in a predominantly male-dominant calling. I feel extremely blessed to have been part of There’s a Woman in the Pulpit. Maybe through my essay “Always a Pastor, Never a Bride” (on being a single female clergy performing weddings) as well as my other writings on various subjects, I’ll join other writers to build bridges helping clergy who abide on lonely islands feel less alone. 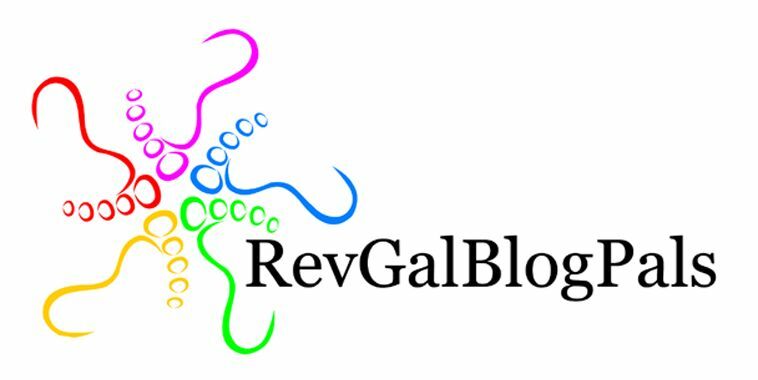 More posts on the RevGalBlogPals blog tour. For more information on or to order the book, see Skylight Paths Publishing or Amazon‘s pages.